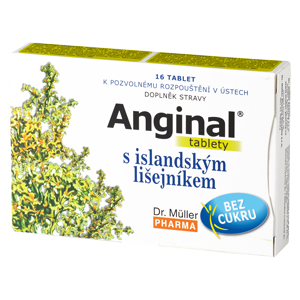 Anginal® tablets and mouth sprays contain extracts of popular herbs. 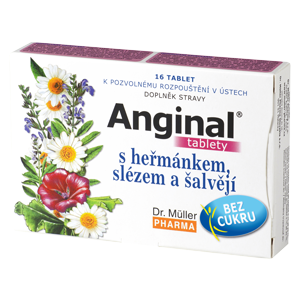 Anginal® tablets are sugar-free and all contain vitamin C.
Adults: Let 1 tablet dissolve in the mouth every 3 hours (max. 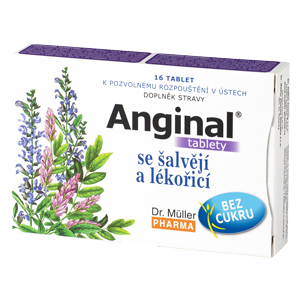 6 tablets daily) daily. Children aged 10 and up: 1/2 to 1 tablet every 4 hours (max. 5 tablets daily). Children aged 3-10: 1/2 tablet every 4 hours (max. 3 tablets daily). Do not exceed the recommended doses. The product does not substitute varied diet. Not suitable for pregnant women and breast-feeding women. Excessive use can have laxative effect. Not suitable for children up to the age of 3. Keep out of the sight and reach of children. Do not exceed the recommended doses. The product does not substitute varied diet. Not suitable for pregnant and breast-feeding women and children up to the age of 3. Excessive use can have laxative effect. Keep out of the sight and reach of children. 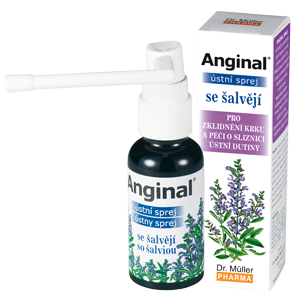 Anginal® Mouth Spray with sage is a mouth hygiene product for the care of the mouth mucosa. It alleviates the mucosa of throat and oral cavity. The spray protects the oral cavity, keeps it in good condition and suppresses the unpleasant mouth odor. 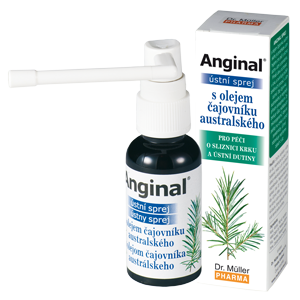 Anginal® Mouth Spray with Tea Tree Oil is a mouth hygiene product for the care of the mouth mucosa and parodontium. It brings relief and helps to suppress unpleasant complaints in the throat and oral cavity. Tea Tree Oil is the strongest natural antiseptic. The spray protects the oral cavity, keeps it in good condition and suppresses the unpleasant mouth odor.